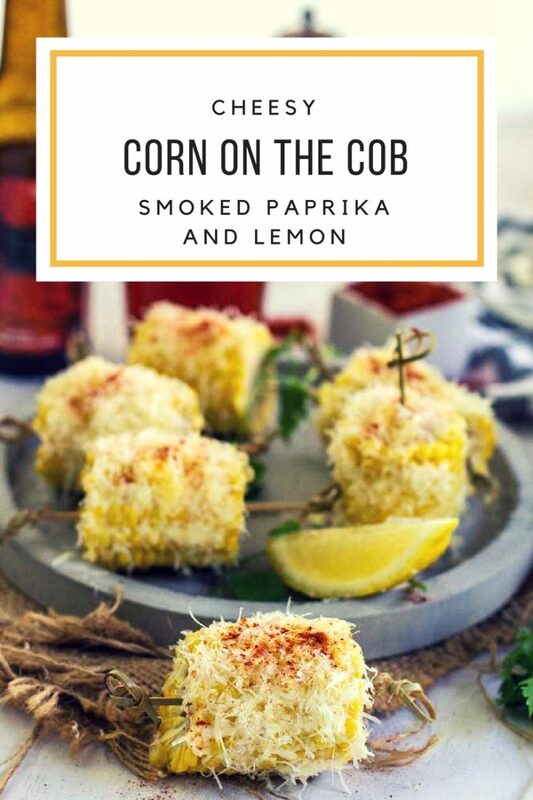 I’d walk a mile for this Cheesy Corn on the Cob with Smoked Paprika and Lemon. Its the ideal party food or side dish. 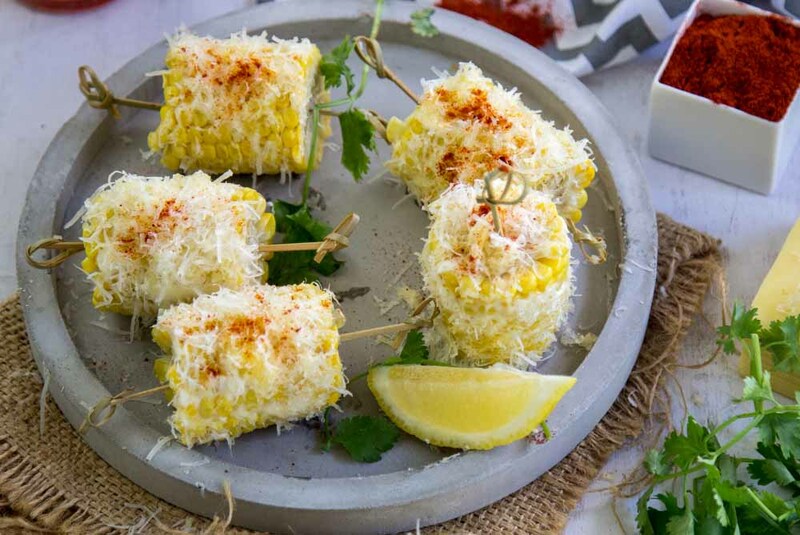 Soft bursts of sweet corn slathered with mayo and paprika and then cheese. It’s love. This is one of the easy recipes I have in my Party Food Ebook and if you have downloaded that and tried it then you will know how delicious this is. It’s certainly not a new way to serve corn but it is one of my all time favourites. I first tried this on a visit to Melbourne a couple of years back. Mamasitas restaurant in Melbourne is a place I always wanted to try and when I jumped out of a taxi at 11 Collins Street and saw a line snaking up a stair case I knew I was at Mamasitas and I joined the end of that line. I was travelling by myself and that’s why I ended up getting a seat before most of the people in that line. Perched up at the bar the bar tender took me under his devilish wing (he saw I was an old duck sitting alone and he really looked after me). I was in heaven. Mescal cocktails and food suggestions were offered and I chose this corn. Their version is smothered in chipotle mayonnaise where mine is a little looser on interpretation but just as delicious. For a start they steam their corn and finish it on a grill to get a smokey charred outside. You can do this if you have a grill plate or BBQ but if you don’t don’t worry. Mine are just steamed and smothered in mayo and cheese. You are sure gonna love them. 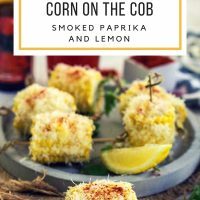 The corn can be just warm when you make these it doesn’t need to be piping hot. You can keep it warm as you work by keeping it covered. Grate the cheese using a very fine grater. This recipe requires fresh grated cheese. Steam the corn till tender. Lay the corn onto a tray or plate and push corn skewers or toothpicks into each end of the corn. 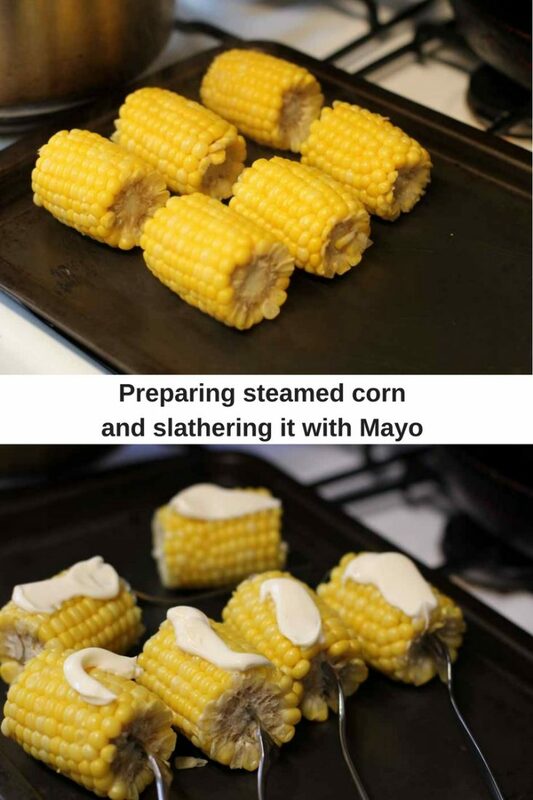 Spread the corn with a thin layer of mayonnaise all over. Sprinkle with the cheese pushing down lightly to hep it stick covering as much of the corn as you can. Sprinkle with smoked paprika and transfer to a platter or dish. Sprinkle with sea salt and cracked black pepper. Continue till all of the corn is finished. Serve with coriander and lemon or lime wedges. I adore corn! looks so delicious, Tania. i’d walk much more than a mile for this, tania! what a delicious summer side. I would say what a brilliant recipe. 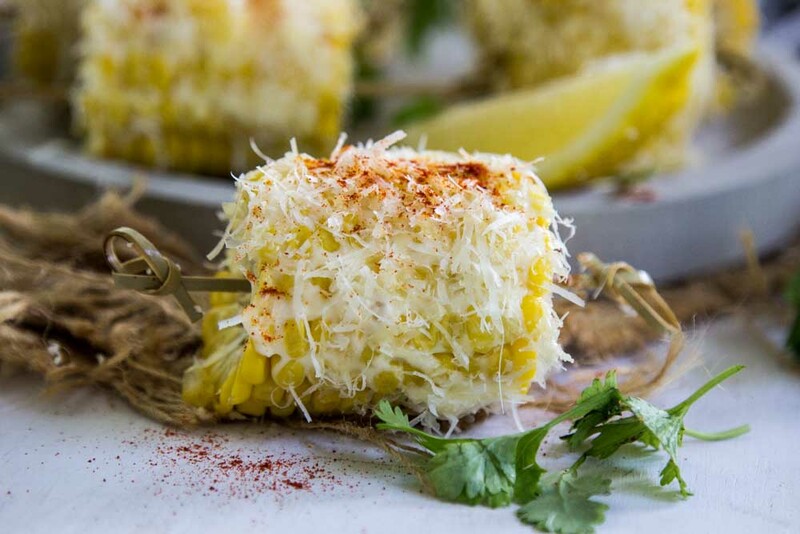 Yes, I am a big corn fan and Corn is once a week snack for my whole family but We have always boiled it with some salt and at the max, what I put is salted butter, Never never ever I thought that I can do this to my simple humble corn. A must try and I will do it and share the recipe with you. Do let me know if I can share your recipe on my website. Hello Kirti thanks for your lovely comments. Do try it and please share with me. If you share on your website just link back.